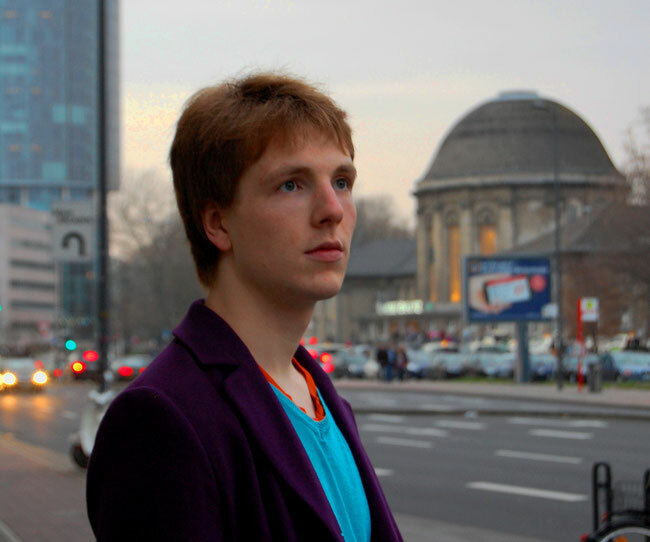 My name is Paul Rittel and I was born 1993 in Bonn (Germany). I am a cello and piano player, composer, improviser, I sing and play the bass guitar. I started playing the cello, composing and improvising when I was about five years old. Throughout my life I played in many different ensembles, bands and orchestras and gained lots of experience in different musical genres. From 2009-2010 I studied classical cello at the Folkwang university in Essen (Germany). My teachers were Prof. Alexander Hülshoff, Friedemann Pardall and Daniel Raabe. In 2010 I moved to Arnhem (NL) to study jazz & pop music at the ArtEZ conservatory. My cello teachers in Arnhem were Michael Gustorff, Frank Sichmann, René Creemers and René Berman. I also improved my skills in playing the piano (with lessons from Clemens Horn, Robert-Jan Vermeulen and Philipp Rüttgers) and in singing (with lessons from Hartog Eysman). I finished my studies in Arnhem with a "bachelor of music" in 2014. Since then, I've been living in Cologne. Here, I studied jazz & pop music at the "Hochschule für Musik und Tanz". I received my master's degree in 2017 with a final grade point average of "1,0", which is the highest possible grade in Germany. Among my teachers in Cologne were Jörg Lehnardt, Anette von Eichel, Michael Rappe, Stephan Scheuss and Dieter Manderscheid. Lately I've been playing in and writing for several rock and pop bands, for example the Stringpop trio Almost Under, the progressive rock band Floodhead, the reggae band SD'n'O and the acoustic pop duo Paul&Mike. For more examples of my musical activities within the last few years, you can take a look at my references.